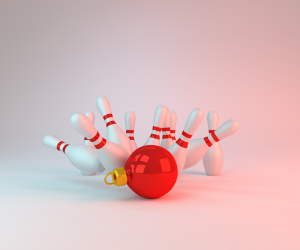 Candlepin – This form of bowling was invented in Massachusetts in 1880 and is mainly found in New England. The balls are much smaller (only about 4.5”) and the pins are very thin (like candle sticks). Each frame has 3 throws and the fallen pins aren’t cleared between throws. What’s more, the pins are rather hard to knock down. 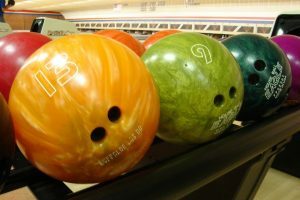 Duckpin – Duckpin balls are about 3.75 pounds and don’t have finger holes! 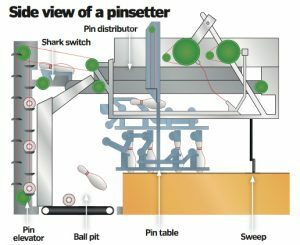 The pins are shorter and more stout than our 10-Pin bowling pins and are also much lighter, making it harder to get a strike. 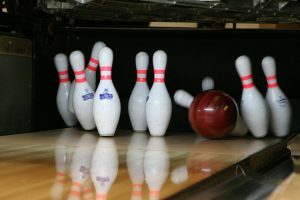 5-Pin – This style of bowling is a Canadian variant. The ball is hand-sized and 5 pins are arranged in a V shape with each pin being worth a different amounts of points. 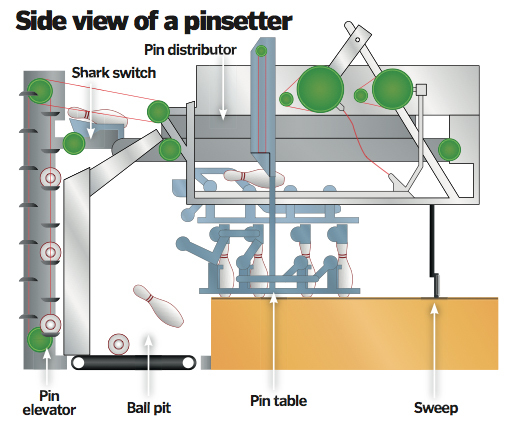 9-Pin – The pin and balls for 9-Pin are very similar to 10-pin bowling, but the similarity end there. 9-Pin (sometimes called kegel) arranges its 9 pins in a triangle formation. The head pin is always red. 9-Pin is a team game, where 2 teams of 6 players each take 2 turns. Interestingly, the pins are not reset between teammates, so each player picks up where their teammate left off. This variation is very popular in Europe. 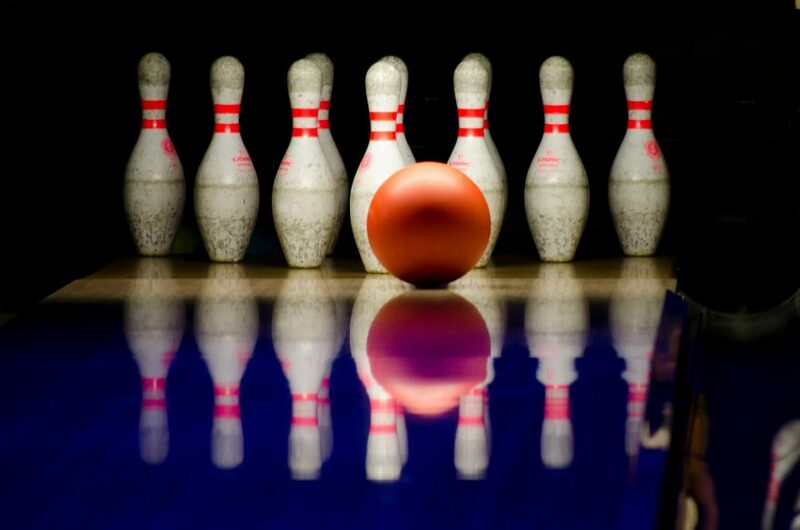 Come enjoy a few games of 10-Pin at our Middletown bowling alley! Check our hours and make your plans today. Interested in bowling but not sure how to get started? Or maybe you’ve bowled before but know your game could improve? Step one is easy; learn how to hold the ball properly. 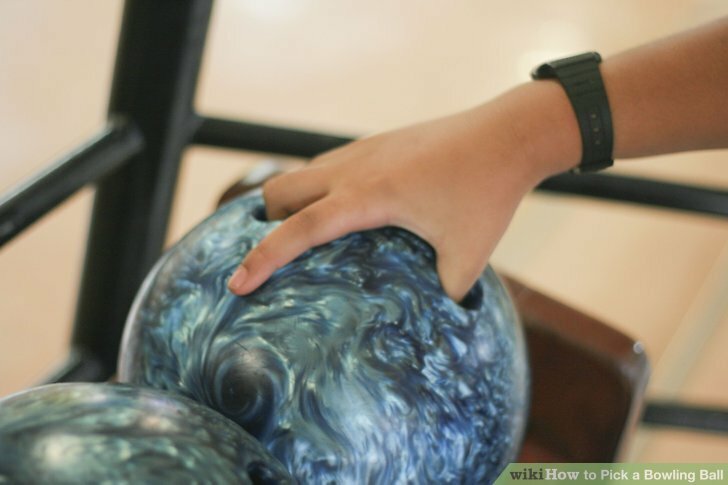 Check out some tips from the pros at Mid County Bowling in Middletown, Delaware to learn how to hold a bowling ball. If you’re just starting out, try the conventional grip. This is a comfortable grip with the most ball control. It’s the most typical grip among beginners and intermediate bowlers. To achieve this grip, slide your thumb all the way into the hole. Your middle and ring fingers should each be in their hole up to the second knuckle. The fingertip grip is for more experienced bowlers. You still fully insert your thumb, but your middle and ring fingers are only inserted up to the first knuckle. This grip requires more strength than the conventional grip and it makes the ball more difficult to control. However, this grip allows for more hooking and pin carry. This is a hybrid of the two above grips. As you might expect, this grip requires the thumb to be fully inserted and the middle and ring finger to the midpoint between the first and second knuckle. It gives more hooking power than the fingertip grip and more control than the fingertip grip. 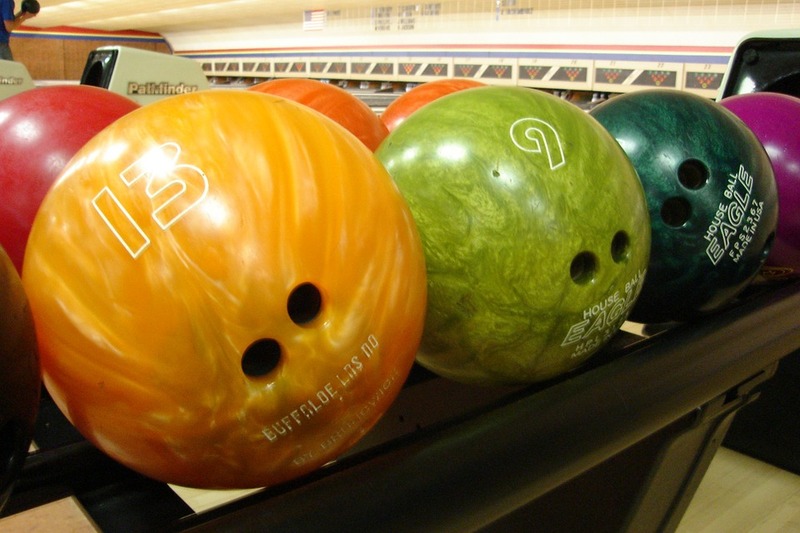 No matter what your preferred grip style is, come on down to our Middletown bowling alley! 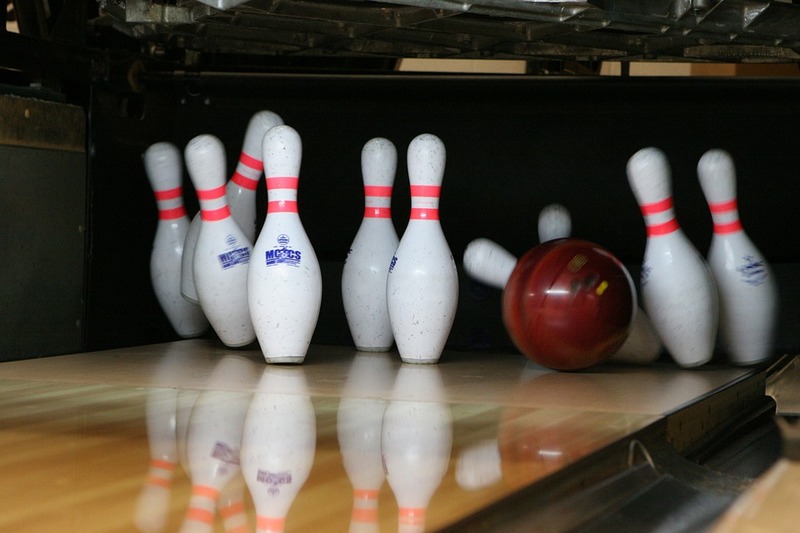 We have lots of great attractions and even offer Middletown bowling tournaments. Punxsutawney Phil didn’t see his shadow this year, so according to legend, spring is coming early! 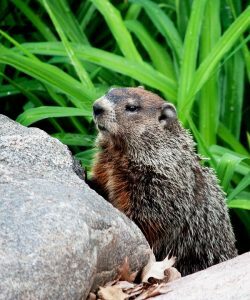 Which is great for all of us sick of the cold, but while you wait for warmer weather to arrive, there’s no need to be stuck indoors. Check out our tips for fun, indoor activities around Middletown, Delaware so you can have fun and stay warm for the rest of winter. Dutch Country Farmers Market – Forget the supermarket! Instead, visit the Dutch Country Farmers Market and you will be transported to the Pennsylvania Dutch country – at least culinarily. The Dutch Country Farmers Market offers amazing food (including some spectacular baked good and wonderful local produce), along with some unique boutique shops. Your Creation Station – Get crafty and paint your own pottery or canvas! This local studio also offers fused glass and tie-dye so you can make something truly unique. It’s a great place to pop in for a couple hours, or you can make plans to attend one of their Middletown events. Plan a bowling day! Bowling is the rain-or-shine activity your whole family can enjoy. No matter how cold or wet it is outside, there’s always fun waiting for you at Mid County Lanes. In addition to our bowling alley, you can also check out the Family Fun Galaxy for bumper cars, arcade games, Lazer Tag, Frog Hopper, Ballocity, Hwy 66, and more fun Middletown attractions! So check out our hours and make your plans to visit our Middletown bowling alley for a little indoor winter fun. With a little extra help, even children as young as 3 can bowl. You just have to make sure they have the right equipment and a good teacher! Pick the Right Ball – Just as with adults, picking the right ball is important. Many kids have a tendency to try to show off when selecting a ball, but it’s important that their bowling ball isn’t too heavy. Generally a 6 lbs. ball is a good fit for young bowlers. Ball Ramps – If your child is very young or has trouble handling their ball, our ball ramps can help them have fun and bowl safely. Bumper Lane – Regulation sized lanes can sometimes be a little much for young ones to handle. It’s important that kids don’t get too discouraged when learning to bowl, and that’s where bumper lanes come in. Just let us know if you have a little one playing when you come in, and we’ll be happy to set them up with bumper lanes and/or a ball ramp. Teach Them the Basics – Basic etiquette is important! Make sure your child knows the rules so that everyone can keep having fun. Let them know when it’s their turn, not to step over the line, and the basic rules of the game. So bring the whole family down to our MIddletown bowling alley for a little fun. Check out our hours and make plans to spend some quality time with your kids today! When going out with the family for bowling night, most just find a ball in their favorite colors that fits their fingers. However, when it comes to bowling balls, there is so much more that goes into them. How do you figure out which one is right for you? We have compiled a list of items to consider when picking the right bowling ball for you or even getting one made to your specifications. Weight. This is the most important aspect. A Ball that is too heavy or too light will make it hard for you to bowl your normal game. Typically, the weight is determined by one pound for every ten pounds in your body weight. So, someone weighing 150 pounds would have a 15 pound bowling ball. Coverstock. Most common types are plastic and urethane. Each will spin the ball a different way. Reactive Resin. The type you get will depend on the type of bowler you are. For beginners, the solid reactive resin coverstock will be perfect. Cores. The three main types are: pancake cores, symmetrical cores and asymmetrical cores. We suggest pancake cores for beginners but you can read up on the differences here. USBC approved. Almost all balls made today are USBC approved, which only means that you can use them in a professional competition. Have the holes drilled. We highly suggest using a professional for this, as we can drill the holes to best match the core of the ball as well as your fingers. Practice and be patient. Once you get the ball to all of your specifications just be patient and work with it. We hope these tips have made buying your new bowling ball a lot easier. Make sure you come show off your new ball at Mid County Lanes this year! It’s that time of year again: Time to make New Year’s resolutions! 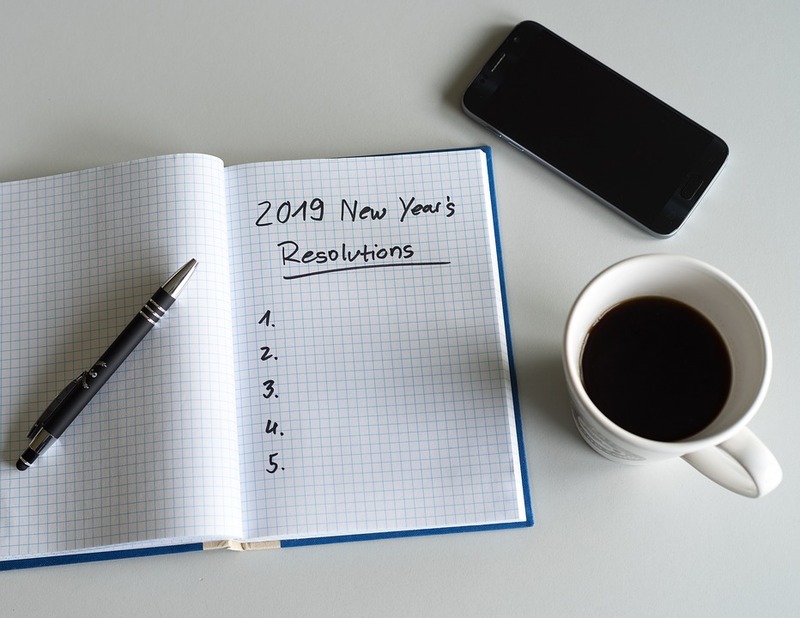 The beginning of a new year is widely considered to be a clean slate; a chance for a fresh start to improve on your habits and accomplishments from the last year and to address any areas that you feel could use a little extra attention. Check out our tips for a striking 2019 below! Get a hobby. Whether you’re feeling a little “blah” about the daily grind, hoping to meet new people, or just want to develop a new skill, make a New Year’s resolution to start bowling! Not only is it social, but it is also affordable, fun, and accessible to all skill levels! Decrease your screen time. Studies show too much screen time is not good for adults or kids. So resolve to do more non-screen-based activities such as bowling, walking, biking, or volunteering. Just make it a point to spend more time doing anything that doesn’t involve staring at your TV, phone, or tablet. Spend more time with friends and family. One of the biggest regrets for most people is that they don’t get to spend enough quality time with their loved ones. Whether it’s a family fun night with your kids or weekend bowling with friends, you have to make time to have fun with the people closest to you. So make plans to visit us in 2019 for Middletown family fun! Follow us on Facebook to stay up to date on all our announcements and special events. Whether it’s because the kids are out of school for their holiday break or because you have family in town, it can seem tough looking for things to do in Middletown. But there are actually lots of fun family-friendly things to do in Middletown, and we’re here to share a few of our favorites, just in time for the holidays. Get active – First of all, get off the couch and get ready for some real fun. We know it’s cold outside, but vegging out in front of the TV is a wasted opportunity. Instead, take a walk at a local park or indulge in some traditional winter fun like taking the kids sledding or out to build a snowman. Make memories – A fun activity lets everyone talk and interact, as opposed to just sitting in a movie or staring at the TV at home. And while outdoor winter fun is great, sometimes it’s simply too cold. Thankfully, bowling is a fun indoor activity that the whole family can play! As a low impact sport, it’s great for all ages and skill levels. It’s the perfect way to get a little friendly competition going and make some lasting holiday memories. Give back – Volunteering in Middletown with your family is a great holiday activity! 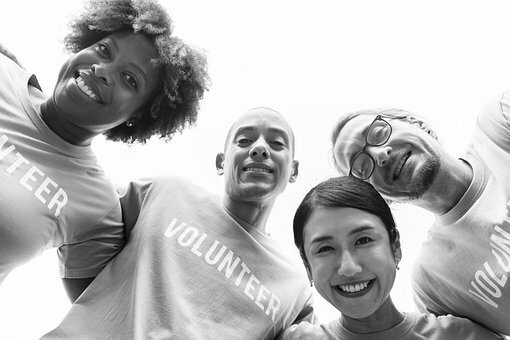 There are many food banks, animal rescues, and homeless shelters that could benefit from your family’s help. 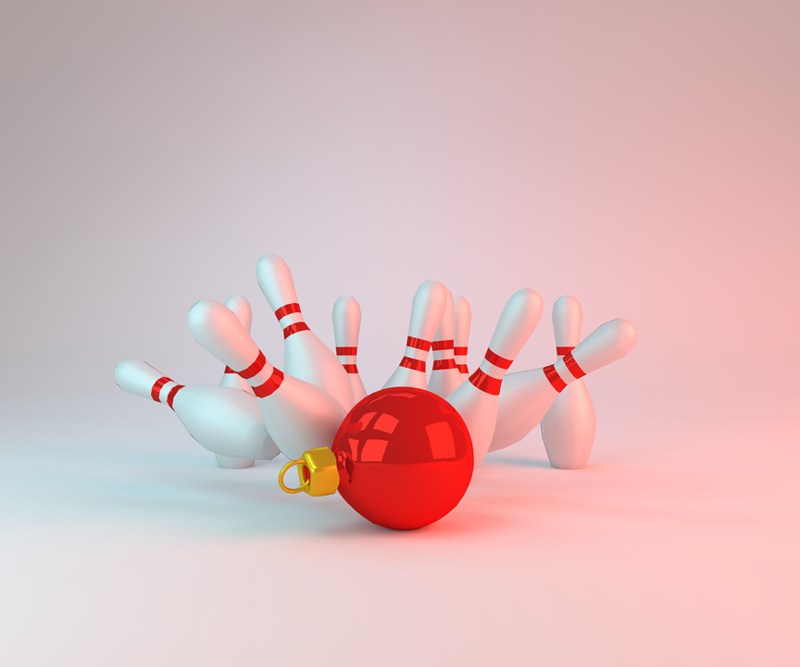 So have a happy holiday, and we hope to see you soon at our Middletown bowling lanes!